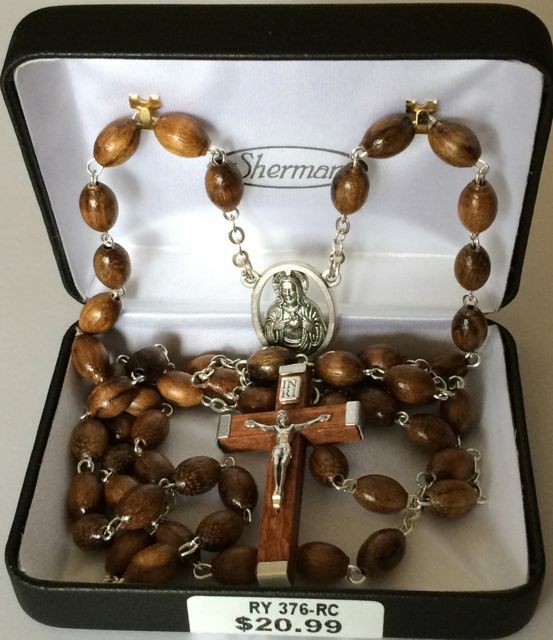 The "Ladder Rosary," also known as the "Stairway to Heaven Rosary" was first found in Mexico. 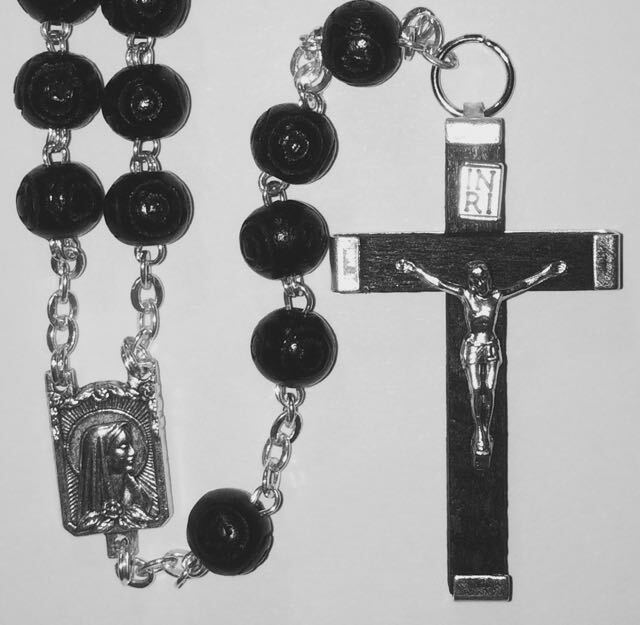 They are called "Ladder Rosaries" because the beads are strung crossways on a double chain, like rungs of a ladder. 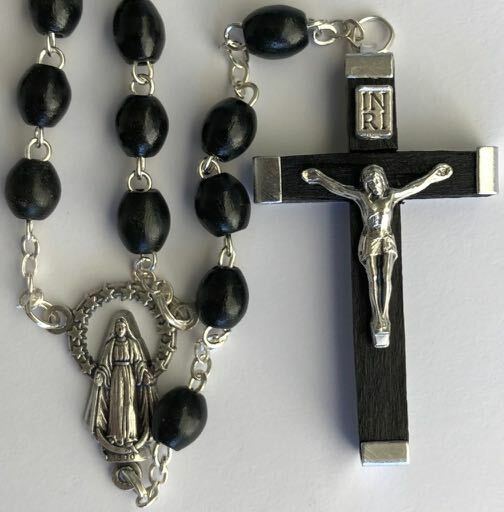 The name reminds one of St. Dominic's vision of souls climbing into Heaven on the Rosary, and St. Francis de Sales' vision of two ladders to Heaven: a rather steep one directly to Jesus, and another, far less steep, towards the Blessed Virgin Mary. 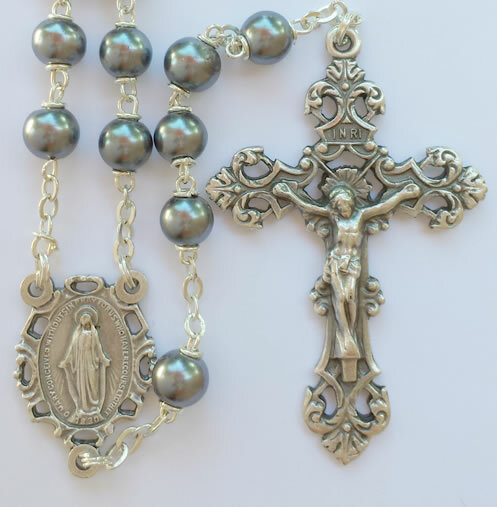 Interestingly, the Russian word for Rosary means "ladder," and, Michaelangelo's "Last Judgment" in the Sistine Chapel shows two souls being pulled out of purgatory by a Rosary! 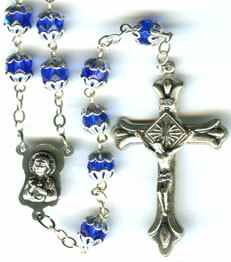 Ladder Rosaries - Commerically Made - $22.95 ea. 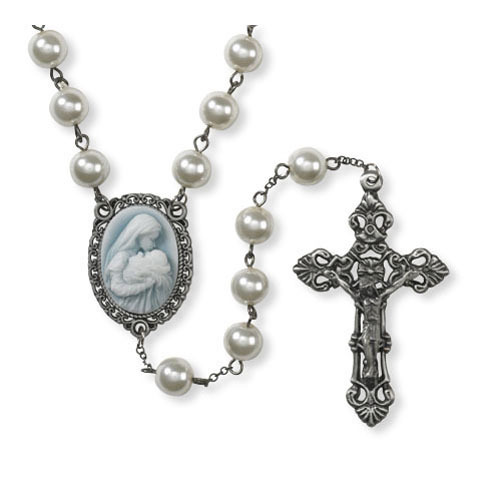 Cameo Rosaries - $28.95 ea. 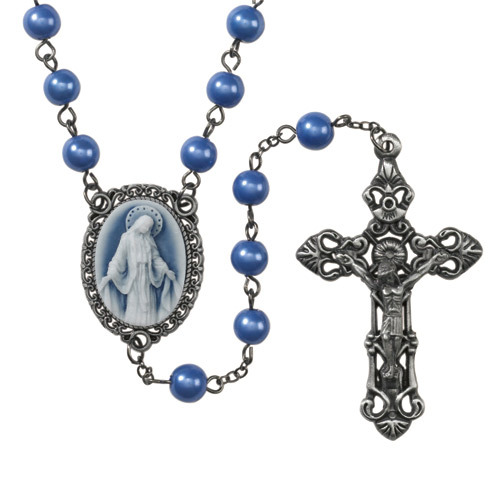 With exclusive art from Michael Adams, this gorgeous Cameo Collection rosary from Sacred Traditions™ is carefully designed with fine detail and ornate embossing. 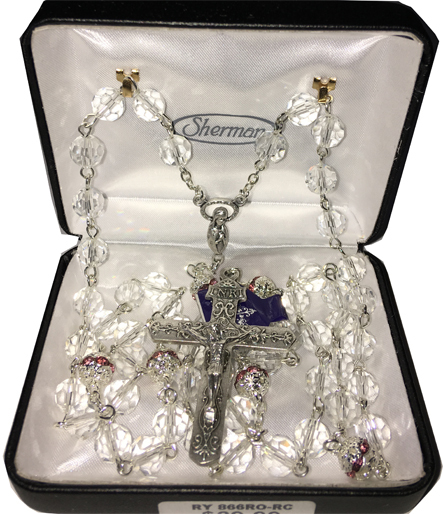 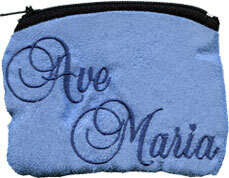 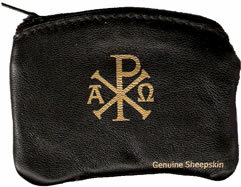 Each richly crafted and detailed style has been inspired by vintage jewelry and is sure to become a treasured heirloom. 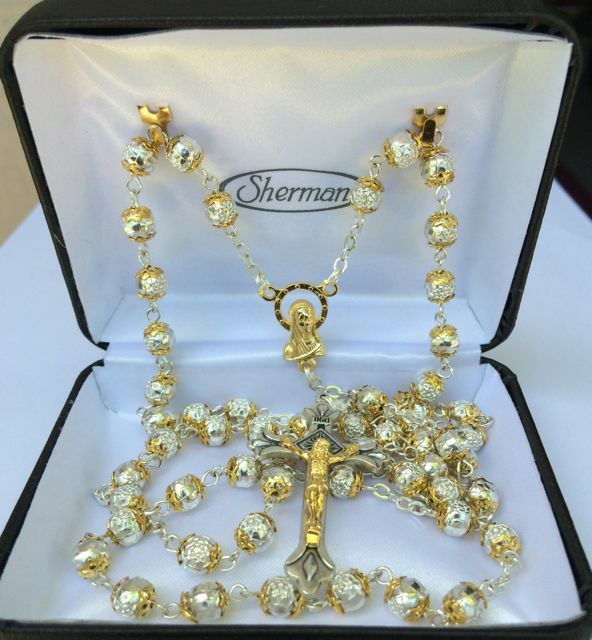 6MM Diamond Cut Ruby Rosary - Beautiful!